The HTC Wildfire is designed around you. A huge selection of widgets (tiny single use apps) bring live content directly to your home screen for you to enjoy. Everything from email, weather and news, through to your favorite comics, or even updates on what your friends are doing through FaceBook & Twitter. There is even an online widget library to help you get more, so no matter what takes your fancy, there is a widget for it. HTC Wildfire helps you stay connected with those who are most important to you through HTC Sense, an experience focused on putting people at the center by making phones work in a more simple and natural way. You won't miss out on the fun as HTC's Friend Stream application seamlessly gathers and displays content from social networks like Facebook, Twitter, and Flickr into one organized stream of updates. 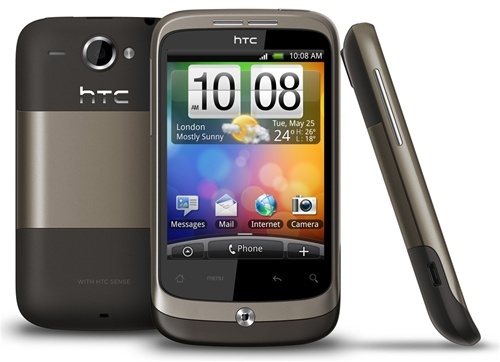 HTC Wildfire enables you to stay up to date with your friends' posts, comments, alerts and photos, wherever you are. Always know what your friends are up to, even before you call. 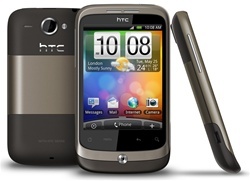 Your address book on the HTC Wildfire includes a thread of recent communications with that person, including when you last spoke, recent text messages and emails, and social network updates. When your friend calls, HTC Caller ID displays their Facebook profile photo and latest update, as well as a reminder if their birthday is fast approaching. Built on the clever Google Android OS, the HTC Wildfire comes complete with all the Google services you love. Discover new places and find your way with Google Maps, message with friends with Google Talk, or collect your emails with Gmail. Being powered by Android means you also get access to thousands of apps via the Android Market. Find almost anything from shopping apps to find the best price, through to clever travel apps, and games to pass the time. Discovered a cool app? Thanks to a new app sharing widget, HTC Wildfire enables you to recommend an application by email, text message or over social networks. Your friends will receive a link allowing them to find the application on the Android Market with a single click and download it to their phone. The HTC Wildfire is loaded with hidden little design touches that are sure to delight you. Like the ringer that knows when it has been heard. The ringer volume politely lowers when the G-sensor on your phone detects that the phone has been picked up, and it completely silences when you flip the phone upside down.